The Agriculture Bank of Egypt (ABE) aims to be Egypt’s largest small enterprise bank, according to the chairperson of the bank, Elsayed Elkosayer. The Governor of the Central Bank of Egypt (CBE) Tarek Amer said in a recent statement that the CBE aims to turn the ABE into the largest small enterprises bank in Egypt, after moving its affiliation to the CBE and shuffling its entire board. Elkosayer said that micro, small, and medium enterprises (MSMEs) account for 70-80% of total loans at the bank, which amounts to EGP 25bn as reported by the end of March. He added that the bank aims to boost its loans portfolio to EGP 28bn by the end of the current year, noting that 30% of the loans are directed to plant production projects, 20% for livestock, and 30% for other related activities. Elkosayer said that the bank is in a race against time to complete the restructuring plan and to equip the bank to take on a bigger role in servingEgyptian farmers and Egypt’s national economy. Notably, hehad taken office as the chairperson of the ABE in March 2016. Since then, he has been implementing a restructuring plan to put the bank back on the right track. 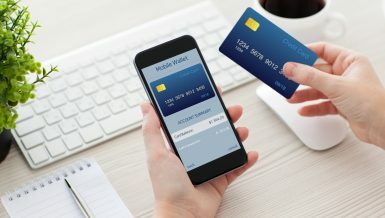 The plan includes the restructuring of the bank administratively, raising the level of human resource efficiency, reaching an organizational structure consistent with the control and governance systems, and developing the technological infrastructure in order to provide the best modern banking services. 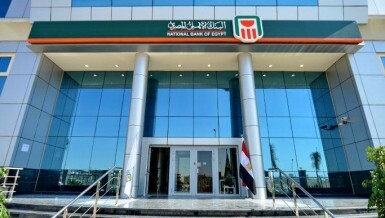 The plan also includes the expansion of the electronic services system to serve farmers and their children, especially in the areas of payment of salaries, payments, and remittances, as well as the deployment of the ATM network and electronic points of sale (POS) in all branches of the bank and its units deployed all over Egypt in 1,210 locations, along with improving its branches and developing them. According to Elkosayer, the plan is expected to be completed within 2-3 years. “The Agricultural Bank of Egypt is currently implementing an expansionary strategy aimed at achieving growth, enhancing its ability to regain its role as the country’s agricultural sector financing arm, achieving rural development, supporting the farmer, expanding the financing of small and medium enterprises, and providing all banking services,” he said. 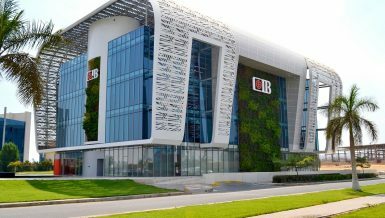 He added that the bank aims at achieving growth rates of 15% annually in the coming three years to make a profit for the first time at the end of the current fiscal year that ends in June. He pointed out that the bank has many programmes to meet the needs of different categories of women workers, youth, and farmers, in order to provide job opportunities and increase production rates, as the bank is a key partner in the country’s agricultural and rural development plan. As for livestock, he said that the ABE injected EGP 300m into the National Project for Fattening Veal Revival within the last seven months, with plans to injectan additional EGP 200m soon. The ABE obtained the CBE’s approval to allocate EGP 200m for the project in December 2017. This funding will be deducted from the bank’s SMEs portfolio. According to Elkosayer, the ABE offered loans to 2,158 customers to feed and fatten 22,400 cattle nationwide. In February 2018, the ABE signed a cooperation protocol with the Ministry of Agriculture and the National Service Projects Organisation to support the country’s plan to develop livestock and increase veal supply at appropriate prices. The protocol, which will come into force soon, stipulates that the ABE will be responsible for providing the necessary funds for importing livestock according to the available funding. 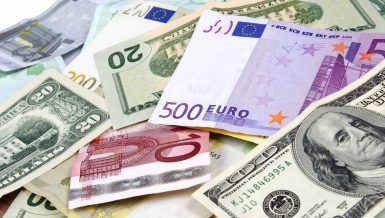 The bank will finance the purchase of the livestock with a simple interest rate of 5%. The ABE is also involved with the Ministry of Local Development and several other banks in“Mashroak” (Your Project) programme to finance micro and small projects. According to Elkosayer, the amount of funding provided by the ABE in this aspect amounted to EGP 1.2bn, granted to sbout 20,000 projects, including 35% to women. He noted that the bank also financed about 155,000 projects in cooperation with the Micro, Small, and Medium Enterprises Development Authority (SMEDA) amounting to EGP 3bn. He pointed out that the bank aims to expand the financing of micro-enterprises in the coming period through the associations and institutions working in this activity, in addition to exploiting the bank’s presence in the areas close to the owners of these projects. He added that the ABE is keen on financing women’s’ project, highlighting a recent protocol with the SMEDA to finance women’s projects with EGP 50m. Elkosayer said that this will be the first project of its kind in the Egyptian banking sector, pointing out that women account for 30% of the size of the bank’s small-scale loans. The bank has recently launched the “Bint Misr”(Daughter of Egypt) project with allocations of EGP 40m to finance working women, especially in the Nile Delta and Upper Egypt governorates, in order to help women entrepreneurs with very favourable terms and conditions. The maximum funding up to EGP 10,000. With regard to the non-performing loans (NPL), Elkosayer said that since April 2016, the ABE has settled debts of 23,000 clients worth EGP 1.4bn, which cut the total size of the NPL from EGP 3.4bn to EGP 2.3bn. 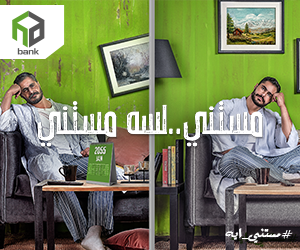 The management of the bank, chaired by Elkosayer, has developed an NPL department for the first time to solve the problems of borrowers and ease the burden off offarmers, along with improving the bank’s performance to realize profits. Elkosayer said that the NPL’s size fell to 13% of total loans by March 2018, down from 20% previously, with plans to further trim the NPL down to 10% only by the end of this year. “The volume of customer deposit portfolio in the ABE reached EGP 46bn by the end of March 2018, up from EGP 45bn in December 2017. 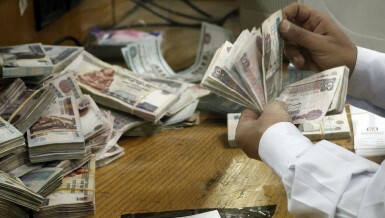 The financial position of the bank also reached EGP 56bn in March,” he noted. In another context, Elkosayer said that the ABE has so far received 665,000 tonnes of wheat from farmers since the beginning of the season, valued at EGP 2.615bn. The bank owns six silos with a capacity of 360,000 tonnes of wheat, along with 82 hangers to accommodate 220,000 tonnes, next to 88 shounas with a capacity of 350,000. Collectively, the bank has a storage capacity of 1m tonnes of wheat. 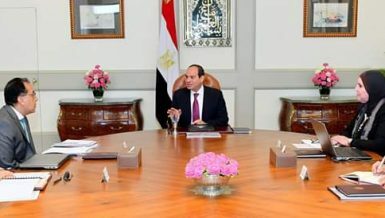 Part of the ABE’s plan is to work on the climatic conditions witnessed by Egypt recently, Elkosayer said, adding that the bank is ready to work under any conditions through applying all precautionary measures to preserve the grain and protect it from any new climatic conditions, by providing various means of protection. He added that the bank’s efforts to facilitate local wheat supply procedures confirm its mission in supporting the efforts of the state to receive and maintain the strategic wheat grain, in accordance with the specifications set by the Ministry of Supply and Internal Trade. The ABE issued 151,000 “Aman” (Security) certificates, worth EGP 171m, including 50,000 for women, since 4 March 2018 until now. Elkosayer added that the sales of the certificates at the ABE were mostly in the EGP 500 and EGP 2,500 categories, adding that the bank still markets these certificates in farming communities and companies with temporary workforces. “The ABE is one of the main actors in the application of financial inclusion to enable the community to access banking and financial services, especially marginalized groups, whether they are in rural areas, women, youth or in Upper Egypt,” he stressed. He explained that the bank plans to integrate more than 3 million farmers in the system of services, in an application of the principle of financial inclusion, taking advantage of the farmer’s card, which was launched in coordination with the Ministry of Agriculture and e-Finance. Moreover, during its participation in the financial inclusion week in April 2018, the ABE successfully attracted about EGP 250m of deposits in new clients’ accounts. The ABE had deployed 20 vehicles to offer banking services in 18 governorates during that week. Finally, the ABE also signed a cooperation protocol with e-finance to issue the bank’s electronic portfolio via mobile.